Understanding Port, paired with the outstanding desserts of Café Latte. Port and dessert go hand and in hand, and in the Twin Cities one destination stands out for their legendary desserts: Café Latte on Grand Avenue in Saint Paul. 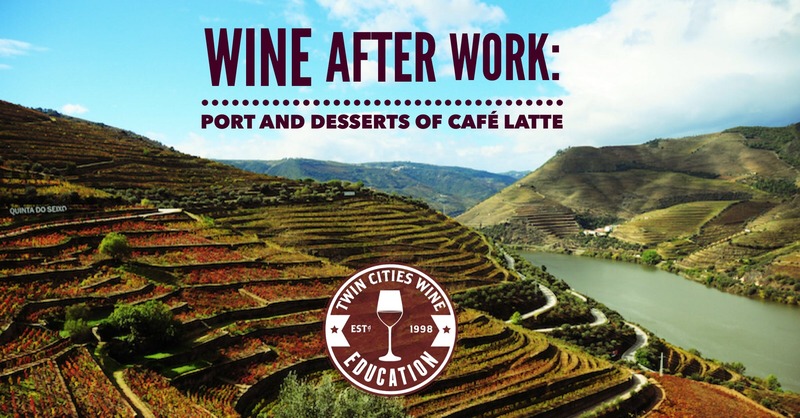 Join us for a very special Wine After Work class with Sommelier Shar Peterson featuring a terrific overview of the fortified wines of Portugal. She will educate you on the port winemaking process, the range of styles available, and how to know what you’re getting as you shop for Port. You will learn all about Ruby vs. Tawny, Indicated Age Tawny, Late Bottled Vintage, Vintage Port, and much more. Three outstanding Ports will be enjoyed along with a range of wonderful sweet bites from the kitchen of Café Latte. This is a perfect way to spend a winter evening!